Have You Ever Asked Yourself, “How Much Paint Do I Need to Paint My House?” If not, then you need to do that to get the best result when you paint. When it comes to painting your house, there a lot of factors you have to consider. One of this is the amount of paint you need to get the job done. Actually, this depends on the type of painting you want to do and the surface you want the paint to go on. In this guide, you’ll learn how to calculate the amount of paint you need for both interior and exterior painting jobs. You’ll also learn how to paint your brick house and paneling. Here is how to estimate the number of square feet you will need to cover. Your paint coverage starts with estimating the area from the ground to the height of the eaves. To do this, add the width and length of the house, multiply this total by the height and double the figure. 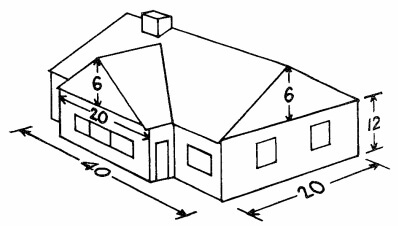 20 + 40 = 6012 x 60 = 7202 x 720 = 1,440 square feet, the area from the ground to the height of the eaves. To find the area of gables, multiply the vertical distance from eave to peak and multiply the total by half the width of the gable. 6 x 10 = 60 square feet, the area of each of the three gables.3 x 60 = 180 square feet. Now, add the gable area to the eave height (180 + 1440) and the result is 1,620 square feet, the total area that will have to be covered. Sometimes, you can find a good painting calculator online for some interior rooms. To estimate paint coverage amounts, take out a measuring tape, pencil, and paper. If the project is to paint the walls and ceiling of an interior room, measure the widths of each wall and add them together. A sample room 10 feet by 12 feet would have two walls of 10 feet and two walls of 12 feet for a total of 44 feet. Check the height of the wall. In the sample room, the wall height is 8 feet. Multiply 8 feet by the 44 feet for a total of 352 square feet. For a flat ceiling, the square footage is determined by multiplying the room length by room width. This room would be 10 by 12 for 120 square feet of ceiling. If the ceiling is a tray shape or other design, add the extra depth. If using the same paint for the walls and ceiling, add the ceiling measurements to the wall figures for a total of 472 square feet. Window openings and doorways need to be measured and subtracted from the total paint calculations. The sample room has two windows that are 2 feet x 3 feet for a total of 12 square feet. It has one doorway that is 3 feet x 7 feet for 21 square feet. The 33 square feet of opening space must be subtracted from the 472 square feet of wall and ceiling space. The result is 439 square feet. Why paint brick? Many people decide that painting brick is a good solution to their situations. The brick could be either exterior or even their brick fireplaces. It could be stained or discolored in some areas and a coat of paint would much more appealing to look at. First, you should check the condition of the brick to make sure there is so damage or lose bricks – these would need to be repaired before painting. Before painting brick, a quick cleaning of the brick area with a TSP solution is also a good idea. Just remember to let it dry for 8-12 hours. One thing to remember as with staining decks – once you paint your brick, it will over time wear with weather and you’ll need to add this to your maintenance plan. Next and most important step to take is to apply are high quality “bonding” primer. You can get some that are specific for masonry but any top bonding primer will work. These primers can even be tinted to the color that you want with your finish coat. Depending on how deep your color is, this will save painting any extra finish coats for full coverage. What roller to use? I would suggest a high nap roller of at least 15mm or 3/4″. I would recommend rolling the surface first then follow up with a brush to get paint to areas of the mortar or brick that the roller missed. Just as with walls, wait a few hours for the primer to dry and then go ahead and apply the first coat of finish paint in the same manner. The top-coat should be a high-quality latex paint in whatever sheen you prefer. Some like the glossier sheens. The brickwork above and around the fireplace should be fine with a 100% acrylic paint. However, when you’re also looking at painting some places like metal that is closer to the heat, you must use a “heat resistant” paint. It’s a very tedious job but quite doable for anyone with patience. Also, remember that painting brick usually will use more paint than just painting a wall or ceiling. When painting wood paneling, unless you will be filling in each groove before painting, you must realize that once painted, you’ll still have that “grooved” look, but with a much brighter fresh coat of paint. That would be a tremendous amount of work to first fill in each groove on the paneling and most will opt to forgo that task. Learning how to paint paneling is actually fairly straightforward as you follow the steps below. Step 1: First, you should wash the paneling with a TSP solution to remove any grease and dirt build-up that may have accumulated over the years. Step 2: Next step is to go around and fill in all nail holes and other dents with wall putty. These will be hard to see since its darker wood. I found that it’s much easier to see the holes you missed the first time after the primer is on and dried. That’s a good time to fill in those missed. After the filler has dried, give a rough sand to all surface areas with 100 grit sandpaper. This will not only make a smoother surface to paint on but will also rough up the sheen or gloss that’s on the paneling and make it a better surface for the primer to adhere to. One more step in this preparation is to make sure that you now clean off all the surfaces free from dust. You can do this with a damp rag or tack cloth. 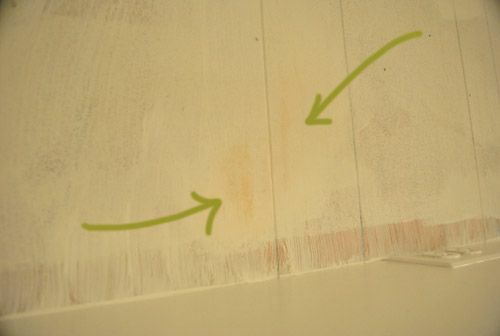 This is an important step before painting paneling as you don’t want to see the dust bumps under your paint job. Step 3: Next is to apply an oil or alkyd primer that has stain blocking properties with a ½” nap roller for semi-smooth surfaces. The stain blocking primer will seal in any wood knots or other areas that may “bleed” through your finish top coat of paint. You should allow the oil primer to dry thoroughly for 24 hours. 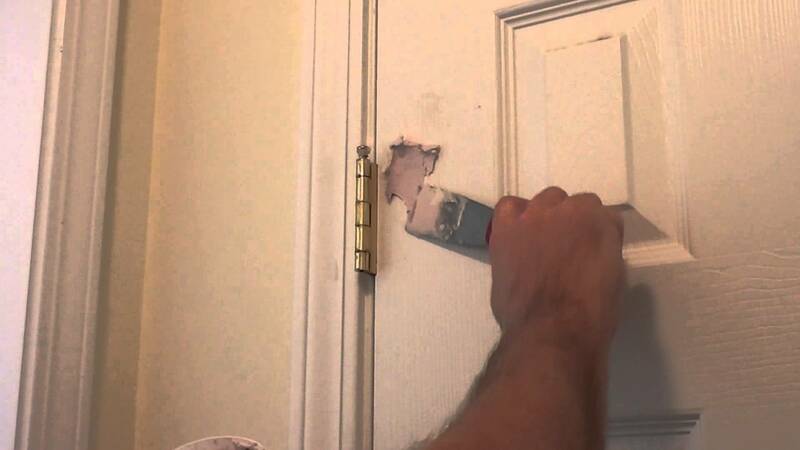 Also, priming your paneling this way prepares it for painting. It is important to not skip this step and make sure that you do it before the actual painting itself. Step 4: Finally, it’s time for painting paneling with your color choice of the finish top coat. The sheen of paint is really up to you and most go with a typical eggshell finish. Apply 1-2 coats of the finish paint and you’ve just transformed that wood panel looks to something much fresher and one that matches your new décor.